In order to purchase their new build home from you the developer, it is likely that your customer will need a mortgage. Mortgages for new build properties tend to be rather specialist and not something that can be provided by every mortgage broker on the high street. Spicerhaart introduces to Just Mortgages specialist new build division. 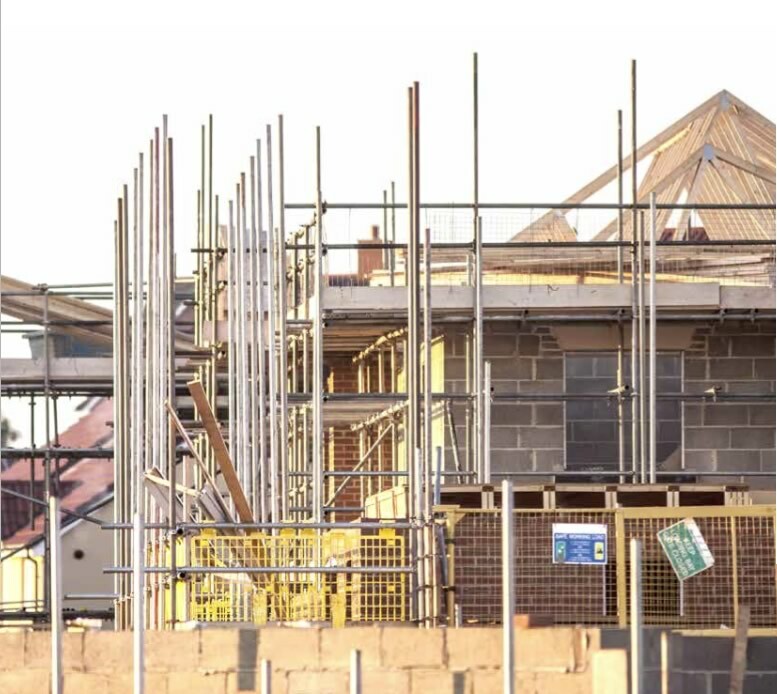 Advisers in this UK-wide division are dedicated to providing mortgages for customers buying new build homes, including those who wish to take advantage of the government’s Help to Buy scheme. Just Mortgages new build division includes a team of professional mortgage advisers who have extensive experience within the new build market, and who understand the needs and requirements of both the developer and of the potential borrower. All Just Mortgages’ mortgage advisers are professionally quali ed. In addition, our new build mortgage specialists receive bespoke training on the new build process before offering any advice on purchases. Unlike most new build advisers, our advisers do not wait at the end of a telephone to be called when you have taken a reservation. Instead they will spend time on site with your sales team, developing enquiries and ensuring buyers are in a position to proceed. In order to create long-term relationships, we have developed our own superior service standards to ensure speed and control throughout the new build purchase process. Our team comprises Help to Buy and new build specialists. We understand that lenders’ criteria differs when it comes to a new build purchase therefore we work with all the Help to Buy agencies to ensure their requirements are met. Our advisers then complete all the required documentation as soon as the client chooses to proceed. We know developers like to offer incentives, so we ensure that we use mortgage lenders who are happy to accept these. We also have a dedicated new build administration team. 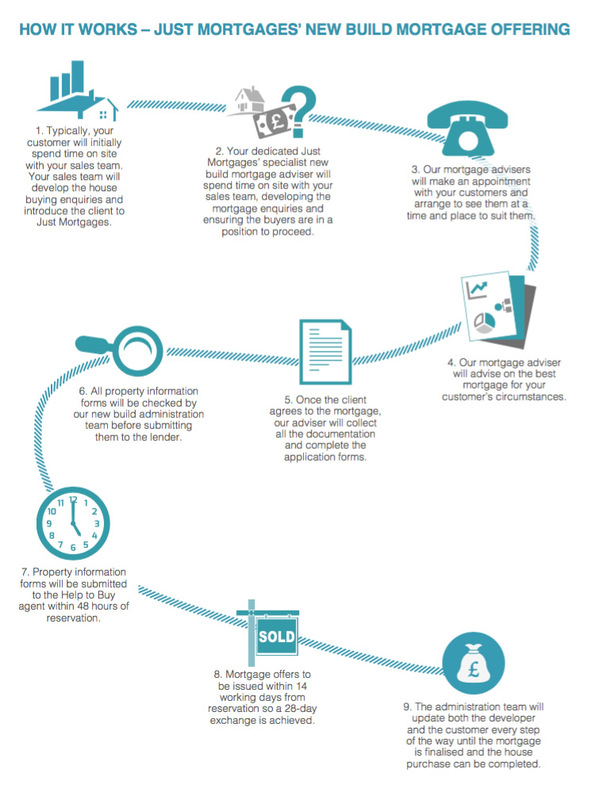 Each customer is allocated an administrator to progress their mortgage application and see it through to completion. The administration team will regularly update both you and your customer throughout every stage of the purchasing process. Just Mortgages is an appointed representative of Openwork Ltd, one of the UK’s largest nancial advice networks, so we can offer clients an extensive range of mortgages from a comprehensive panel of lenders. We also have access to exclusive and semi-exclusive new build deals not available through high street lenders or other mortgage service providers. We have the flexibility to offer evening and weekend appointments at a location convenient to your customers. In fact, our new build team is available seven days a week, so customers can call any time to discuss their mortgage or any other matter relating to their purchase. We will be on hand to offer your customer advice from the moment you appoint us. Our advisers will be available at a time to suit you and your customer even if that is outside of normal working hours. We will visit your customer at the location that best suits them. We will advise on a full range of specialist new build and Help to Buy mortgages ensuring that your customers always get the right advice. We will keep you updated every step of the way so you know when the purchase can complete. If you would like to explore how Just Mortgages New Build can help support you please contact us on the following numbers. 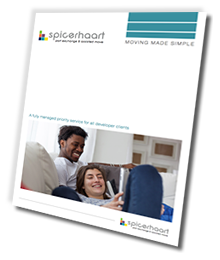 Spicerhaart introduce to Just Mortgages which is a trading name of Just Mortgages Direct Ltd which is an appointed representative of Openwork Ltd which is authorised and regulated by the Financial Conduct Authority.